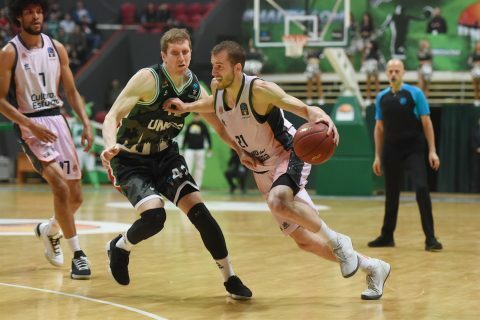 Valencia and ALBA Berlin swept their respective series (2-0) on Friday and will now face each other in the 2019 EuroCup Finals. 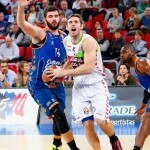 The Spaniards defeated UNICS in Kazan (73-79) and advanced to the EuroCup Finals for a record sixth time! 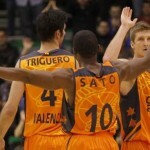 Equally impressive is the fact that the win over UNICS was the 14th straight win for Valencia in the competition. Nevertheless, the game in Kazan was a close one for much of the time (36-39, 52-49), until Valencia went on a 1-13 run and never looked back. They took an eight-point lead (54-62) and controlled the game after that. Matt Thomas and Sam Van Rossom led the winners, with 15 points apiece. 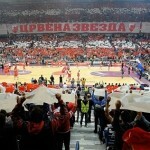 On the other hand, four players scored in double figures for the losers, as Errick McCollum had a team-high 13 points. In the other semi-final game of the EuroCup, ALBA Berlin withstood Andorra’s late rally and beat the Spaniards for a second straight time (81-87). The German visitors secured their place in the finals for the first time since 2010. 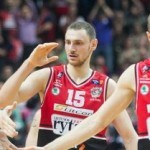 They also became the first team that beat Andorra at home in the Poliesportiu gym. In the first half, ALBA was leading by nine points (42-51), but Andorra fought back with a 12-2 run to take the lead (54-53). 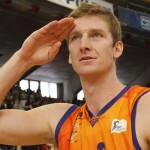 However, ALBA answered with their own run (11-28) and turned things around in their favor (65-81). But it wasn’t over yet. Andorra made a last stand and cut the deficit to only three points (80-83). It didn’t help. ALBA stepped up and made some big shots which ultimately sealed the deal. Interestingly enough the 2019 EuroCup Finals between Valencia and ALBA will be a rematch from the 2010 series. This time, though, it will be a best-of-three format in which Valencia has the home-court advantage. The first game of the series will be on Tuesday, April 9.